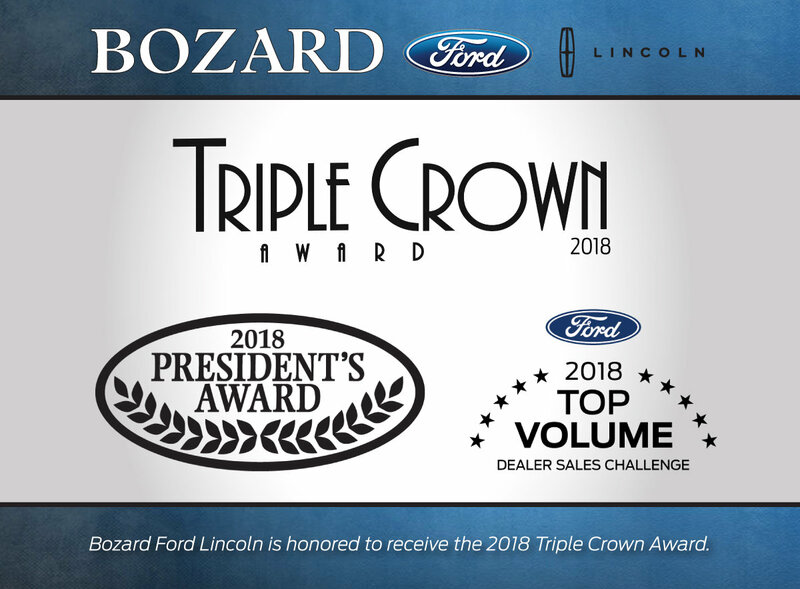 Bozard Ford Lincoln has been awarded both the Ford President’s Award and the coveted Triple Crown Award for 2018! This is our third Triple Crown win, which encompasses the President’s Award, Top 100 Volume Dealer and Partner’s in Quality criteria! We can not thank our team and our customers enough for giving us the opportunity to do business in our community at this level! A Celebration of Excellence - For Ford dealerships, excellence is achieved in many ways: by reaching or exceeding sales goals, by scoring high in customer satisfaction and by maintaining an unwavering focus on success. The Ford Motor Company President's Award honors those top-performing Ford Dealerships that make excellence a priority.